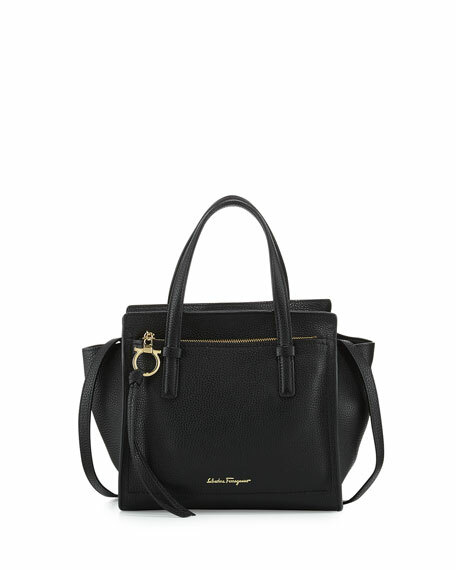 Salvatore Ferragamo pebbled leather tote bag. Thin top handles with keepers. 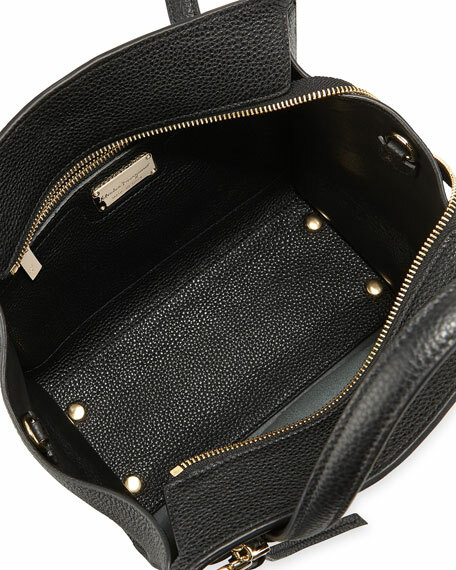 Exterior front zip pocket with Gancini pull. 8.5"H x 13"W x 5.5"D.